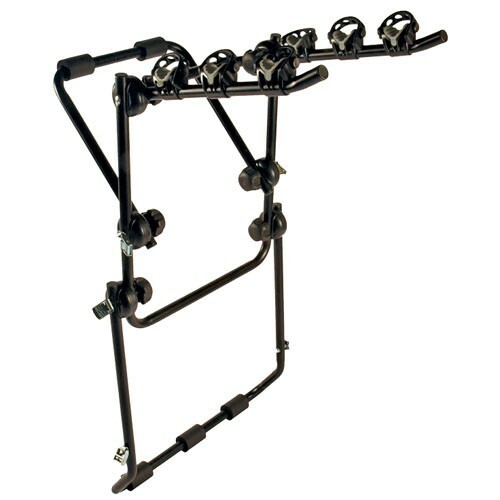 This bike rack was made specially for hatchback cars and SUV's, but it can also be used on a trunk mount application. This bike rack was made specially for hatchback cars and SUV's, but it can also be used on a trunk mount application. It has adjustable cradles for a stronger and more secure hold, along with six straps for a more secure tie-down. It also has foam cushions to protect the bike and, more importantly, your car from any damage. The design allows for a visible license plate at all times and folds for easy storage.